A pair of jeans is a quintessential casual piece of clothing worn by many people from babies to adults. 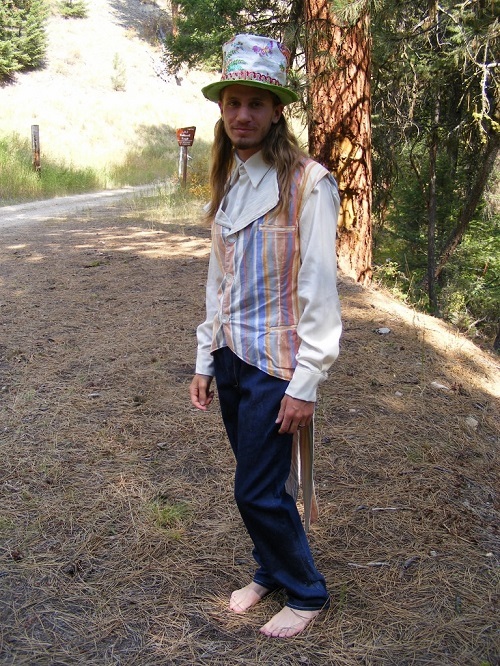 However, jeans as an article of clothing can pertain to many fabrics. Denim jeans and cotton jeans are just two types of jeans sold in the commercial market. The main difference between the two types is the fabric used in the garment. Denim jeans are the first and most popular type of jeans; denim is the most common fabric in jeans. On the other hand, cotton jeans are also getting popular because of cotton’s characteristics as a garment. Denim, in fact, is a by-product fabric of cotton. It is different from other cotton products because of its weave technique and finish. Denim is woven using heavy cotton yarns in a specific type of weave – the twill weave. The weave leaves a distinct pattern of alternating and interwoven blue and white cotton threads. After putting all the parts of the denim jean together, it is finished with a prewashed or sandblasted process in order to make the jeans look fashionable. Denim jeans are usually dyed indigo or blue; hence the term “blue jeans.” However, denim can also be dyed into other colors. Denim is not the only a fabric used for jeans, but it is the most common and famous one. Denim can also be used for other apparel like skirts, jackets, covers, and bags. Denims originated in Nimes, France as “serge de Nimes,” a blend of wool and silk. As a cloth or fabric, denim is very hard to sew. It requires a heavy needle and thick thread as well as forceful application. This characteristic makes denim jeans hard to make as a personal project but easy to apply to manufacture commercially. Denim as a cloth is “dense” and provides insulation. 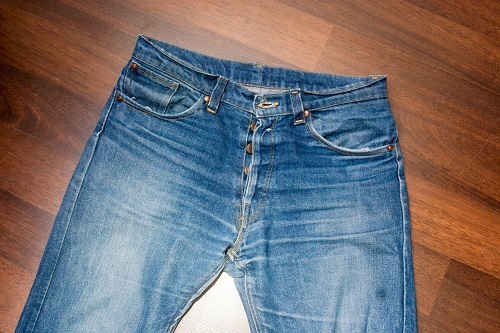 In washing, denim can be heavy due to its weave and absorption of water. Cotton, on the other hand, is a very versatile plant and fabric. It can be made into a variety of materials like denim, khaki, gabardine, polyester, or flannel. The cotton plant grows in abundance in subtropical and tropical countries. It is an important trading material of many countries. Cotton is mostly a vegetable fiber. Cotton can be dyed into many colors, and it can also be treated with bleach. It can be made into many products like curtains, bedding, and tents.. Cotton is often the preferred fabric because it is very washable, light, soft, breathable, and absorbent of sweat. Cotton is also durable, a characteristic it shares with denim. Cotton is one of the oldest crops in the world. It can be traced back to 5,000 years ago; a cotton plant was found at an archaeological site in Pakistan. Compared to denim, cotton is very easy to sew and wash. Therefore, cotton pants are easier to make, even as a home project. Many clothing companies also produce and carry cotton jeans. 1.Denim and cotton jeans are two types of jeans, a style of trousers available for men and women. Jeans were originally made from denim but are now available in other fabrics as well. Denim jeans share many characteristics with cotton jeans, as denim is a by-product of cotton. 2.Denim jeans are usually dyed blue or indigo, while cotton jeans come in a variety of colors. 3.Denim jeans are denser and provide insulation in addition to being harder to make and wash. Denim jeans are usually manufactured commercially. In contrast, cotton jeans are lighter, more breathable, and easy to wash and make. Cotton jeans can be homemade or produced commercially. Celine. "Difference Between Cotton Jeans and Denim Jeans." DifferenceBetween.net. July 28, 2017 < http://www.differencebetween.net/miscellaneous/fashion-beauty/difference-between-cotton-jeans-and-denim-jeans/ >. This is a very interesting and informative article. You should post another article about the maintenance of jeans colors.